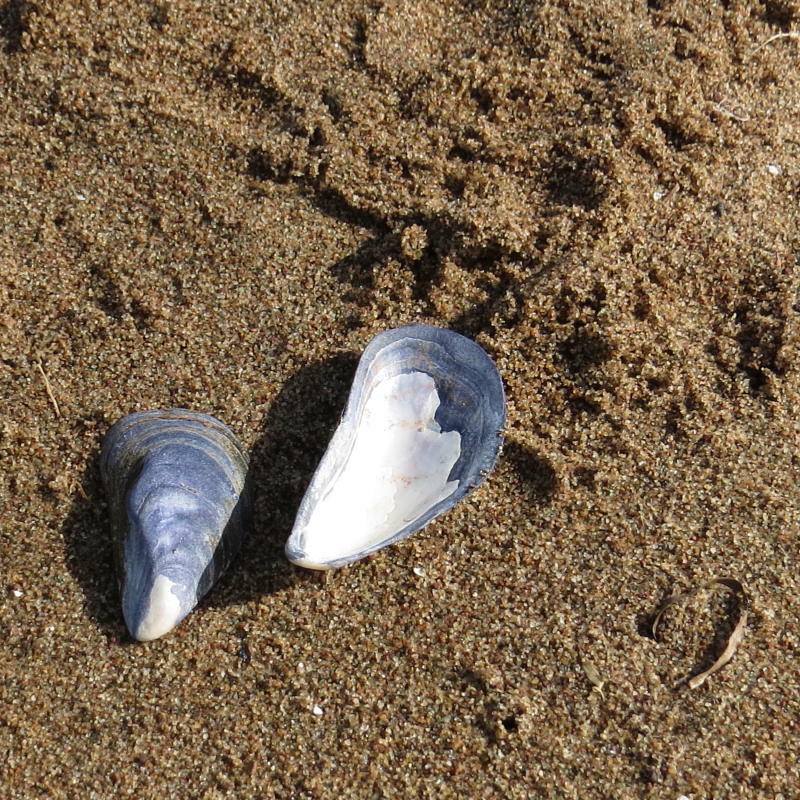 The shell of Blue Mussels have black blotches with blue or white spots, pointed beak at one end. Can grow up to 10 cm long. 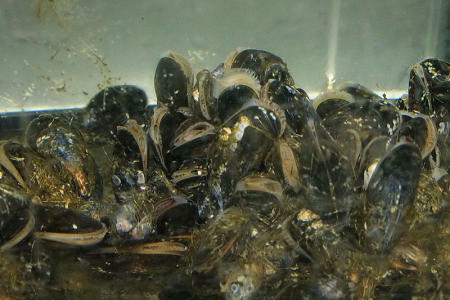 Mussels feed by filtering out phytoplankton & organic particles from seawater. 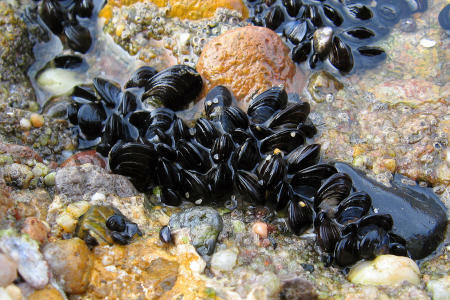 Mussels attach themselves with strong sticky hair like threads, to rocks, other creatures, or each other so they don’t get carried away by storms and tides.